Every year since he was a child, my husband has gone on a father/son golf trip with a group of about 10 guys. They golf, they eat, and then they golf more. While my husband generally shares a little about the golf portion of the trip, the highlights typically revolve around the food they eat. * You can definitely use pre-made whipped cream as your topping but real whipped cream is so easy to make (and so, so good) it’s a shame to skip this step! If you choose to make your own, go ahead and add your mixing bowl to the freezer before you get started. This helps your cream whip up! 1. Wash and slice strawberries. 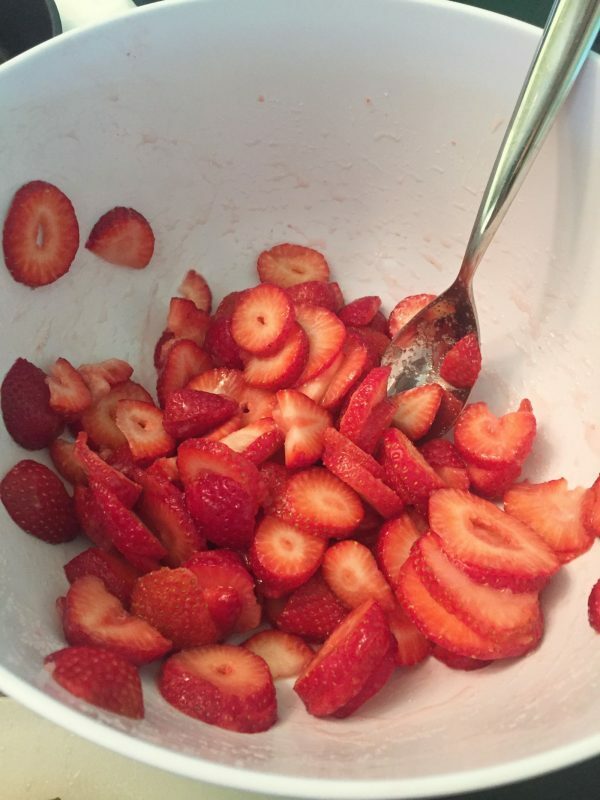 In large bowl add strawberries and 1/4 C. sugar and mix to coat. Set aside. 2. 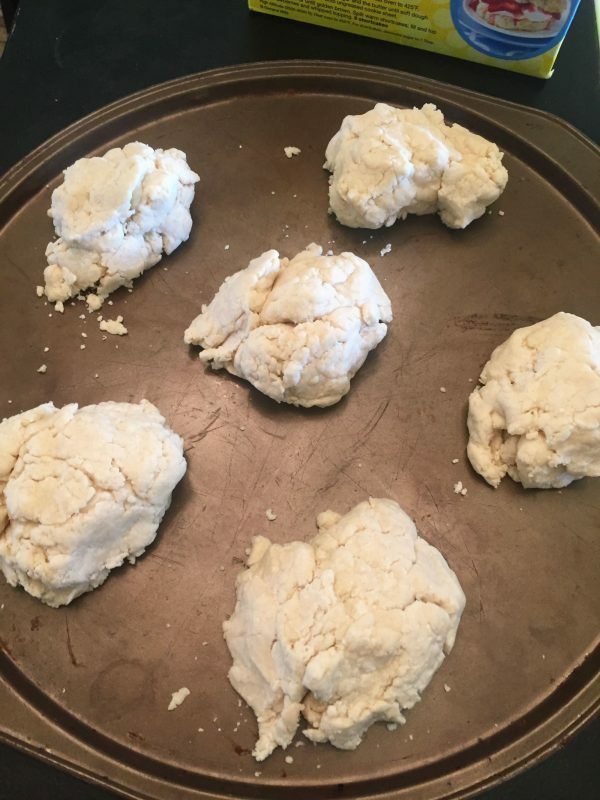 In bowl, stir baking mix, 3 T. sugar, salt, and the melted butter until dough forms. Drop by spoonfuls onto baking sheet. Makes 6 large cakes or you can make smaller. 4. Grab your electric mixer and your mixing bowl out of the freezer (see above!). Pour in your container of whipping cream and using your whisk attachment start whipping increasing to a high speed. 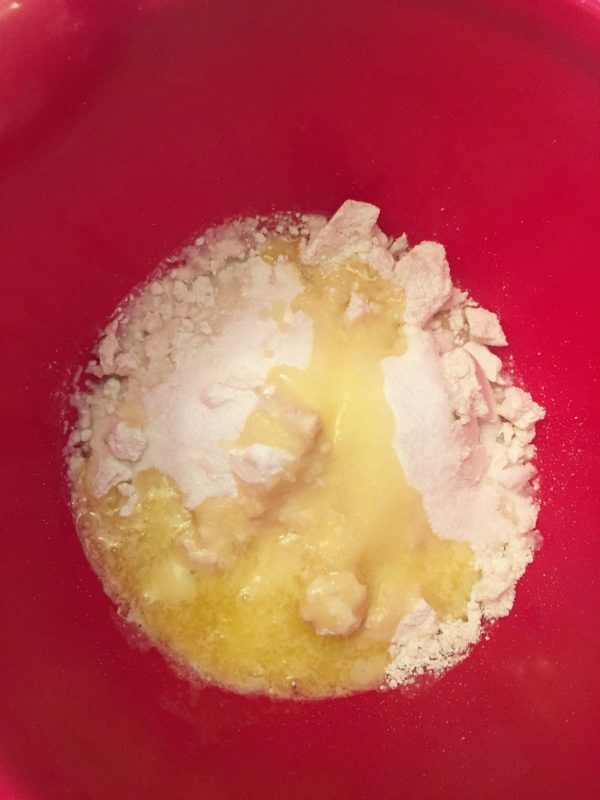 Add a little powdered sugar as your are whipping, I never measure, just add a little and taste it until I get it how I want! Once it’s light and fluffy you’re done! 5. 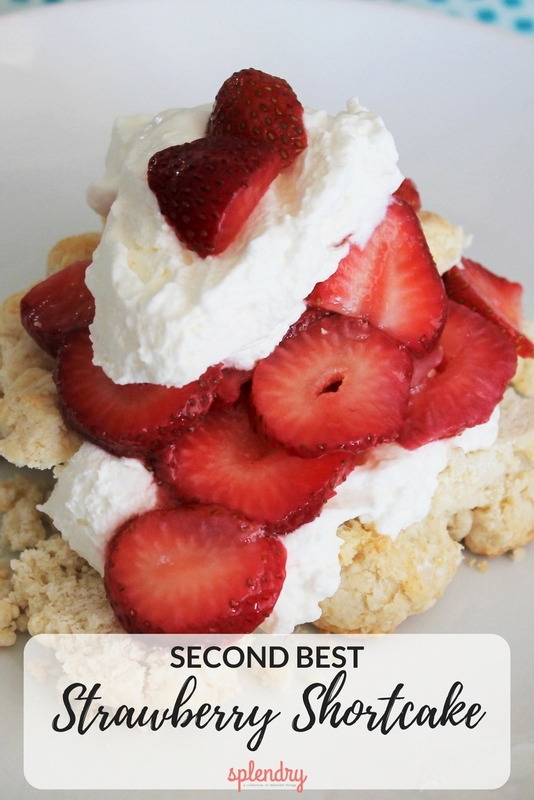 Split your shortcake and add a little whipped cream and a layer of strawberry slices. 6. 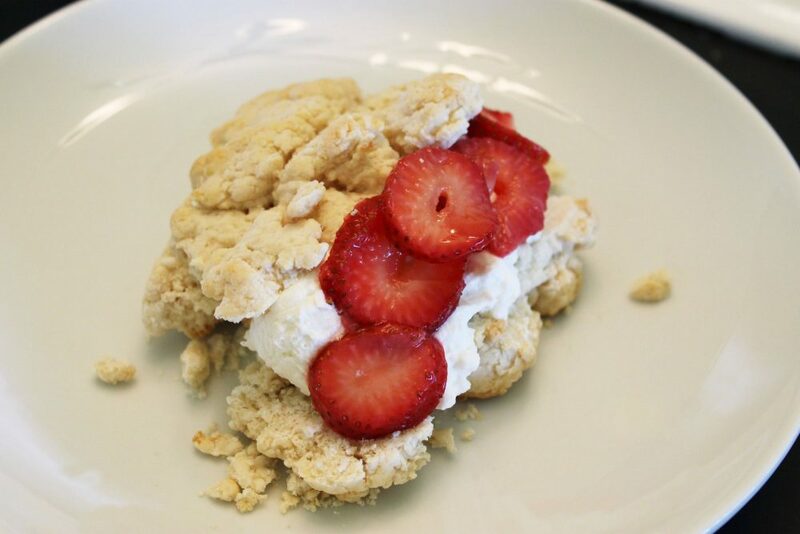 Add another layer of whipped cream and strawberries on top and serve. 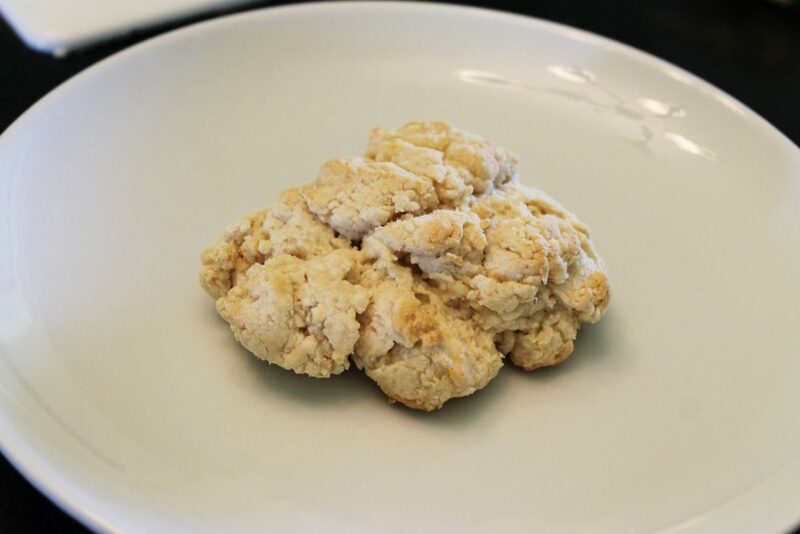 Looking for more great recipes? We’ve got them here! Yum-o…this looks and sounds delicious! 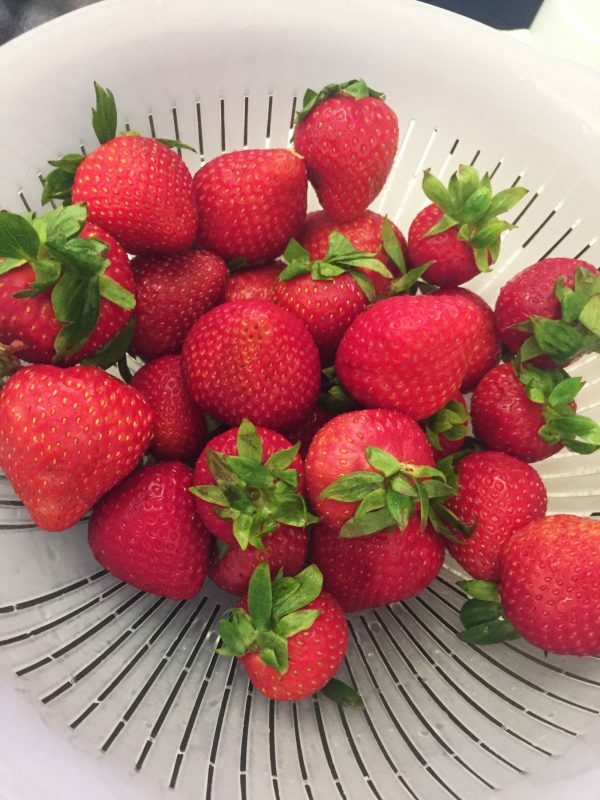 Who doesn’t love fresh strawberries? 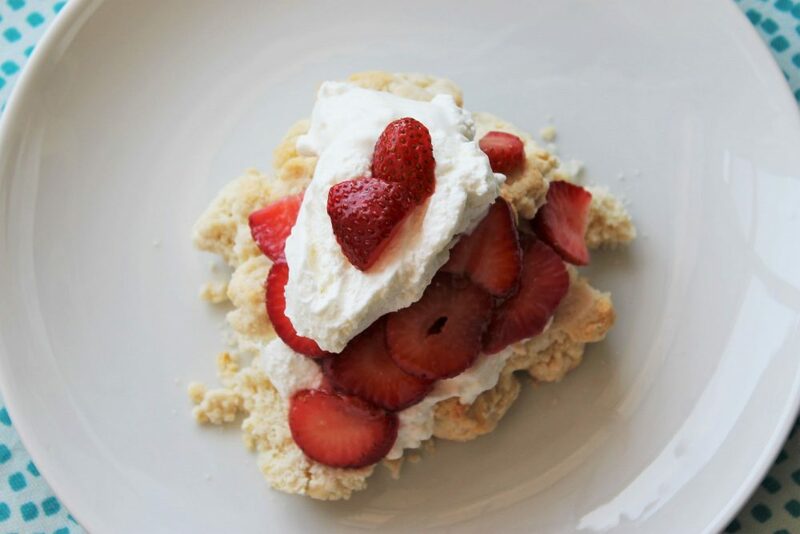 I’ve never made my own strawberry shortcake, but my mom has and it’s SO tasty. 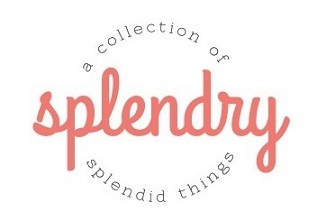 I’ll definitely have to give this a whirl! Nothing better than this! I love fresh berries. Yum! This looks so delicious! I have a carton of strawberries in my fridge right now and might make this today! That looks sooo goood! Those strawberries are so pretty!